Too Faced Born This Way was all the hype when it launched August last year. I snatched this up the moment I saw it in Sephora Sg. I got the lightest shade Porcelain - Fair with neutral to pink undertones. Sephora revised the prices for most of their product this year, and this foundation is retailing at S$55 (30ml) currently. 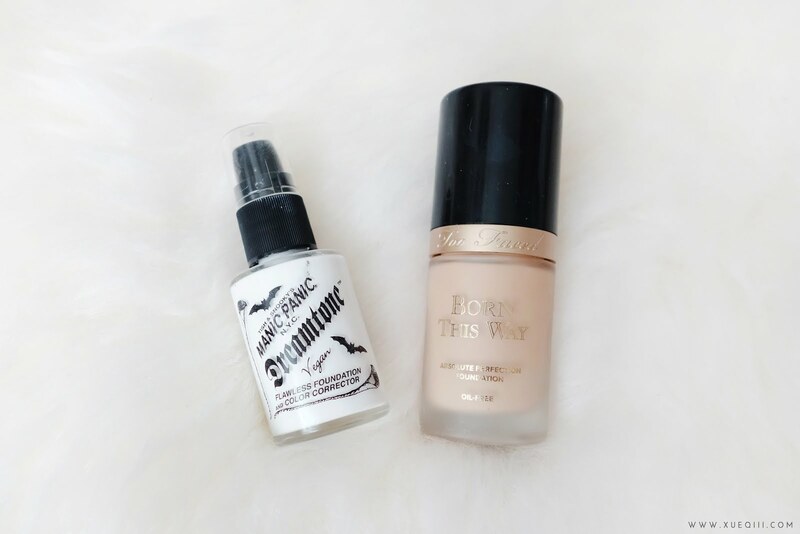 "Born This Way is an oil-free foundation that masterfully diffuses the line between makeup and skin. For coverage so undetectable, you can’t see the makeup and you can’t see imperfections—all that’s left is naturally radiant skin that looks like you were Born This Way." This foundation is marketed to be a super flawless foundation that gives you a skin like natural finish without looking overly dewy or matte. And almost all the videos I saw on YouTube reviewing this were rave reviews on how much they loved it. However this did have a few negative reviews - claiming it broke down on their face, breaking them out etc. Apparently you either love it or hate it. I decided to give it a try myself. I have been testing this out on and off since August 2015. I have explain the shade selection here in my holy grail foundations post. Porcelain being too orangey and dark, I found out that Manic Panic's Dreamtone White Virgin Foundation is a great mixing medium to lighten foundation without altering the consistency and formula. So far this has been working very well and I did not notice any drastic change in consistency. You can tell how dark Porcelain is against my skin. My bare face. I have been dealing with some horrible break outs and am trying to lighten the marks. Here's a full pump's coverage. I did not even finish using it. I managed to do a layer all over and a second layer on problem areas. This foundation covers really well, although you can still see a bit of the spots. Here's all my makeup done. My hair is still wet from showering so pardon the craziness. A few more taken with flash. 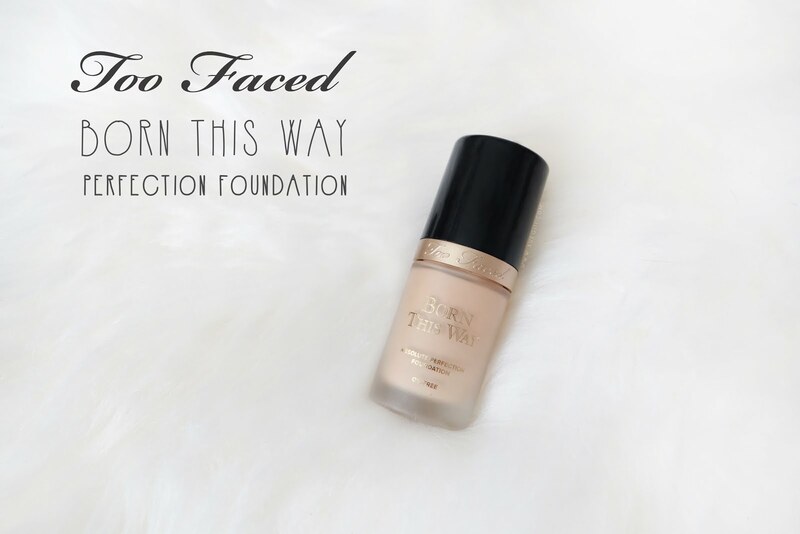 I would give the Too Faced Born This Way Foundation a 3.5/5. I do like this foundation and enjoy wearing it but my skin would have to be in a better condition for this to work nicely. I will not reach for this if I am healing from breakouts as I will have dry patches around my face and although this can look flawless and beautiful after application, but within the first 2 hours it will settle into my pores and accentuate the texture on my skin. Basically I just look like I have a lot of foundation on my face - CAKE FACE. It also doesn't hold up too well if the weather is extremely hot and humid. It can split by the end of a long wear day - this is only if you are outdoors. But if I have no texture and maybe only a few flatten spots to cover, this will work very well. It dries to a skin-like satin finish. I would recommend a mattifying primer if you have an oily t-zone as this is not a matte foundation and it does not have very good oil control properties. I prefer applying this with a Beauty Blender as this foundation is quite thick.